​August brought new Outlook partner add-ins, new wearable productivity apps, Sway for Windows 10, a new community GitHub project for Office IT Pro Deployment Scripts and a new Snack video showcase for developers. Plus, you can now preview the Skype for Business apps for iOS and Android and real-time coauthoring in OneDrive. There were lots of updates too, including: improvements in Excel 2016 for Mac that make working with external data easier, deeper integration between Office documents and Outlook for iOS, and easier access to OneNote Staff Notebooks for school administrators. Several posts this month give you a close look at the new business analytics features in Excel 2016 and show you what you can do with six new Excel 2016 charts. Leave us a comment to let us know what your favorite new feature is. If you missed last month’s updates, see What’s new: July 2015. Learn how to use the new Waterfall chart in Excel 2016—The Waterfall chart is one of the most popular visualization tools used by businesses. When you use this new Excel chart, with just a few clicks you can show how you arrived at a net value by breaking down the cumulative effect of positive and negative contributions. This post shows you how to use a Waterfall chart to visualize a financial statement, use subtotals as a visual checkpoint in the chart, customize charts, and use the chart beyond financial analysis, for example, for navigating data about population, births and deaths. Sway now available worldwide and Sway for Windows 10 is here—Sway, the digital storytelling app, is moving from preview to general availability and is rolling out to eligible Office 365 for business and education customers worldwide. That means any individual with a free Microsoft account can now use Sway, and more businesses, schools and other organizations can use Sway to create and share interactive reports, presentations, assignments, lessons, projects and more. Sway for Windows 10 has arrived too, along with a new layout option and new publishing capabilities like using Docs.com to share your Sways. New apps to wear to help you stay productive—Wearables are hot and so are our new apps for them. Check out the new and updated wearable productivity apps. The all-new Outlook for Apple Watch lets you reply, schedule and archive right from your wrist, and the all-new Microsoft Translator for Apple Watch and Android Wear provides instant translation into 50 languages. Wunderlist for Apple Watch now has Quick Add magic, OneDrive for Android Wear got several improvements, and OneNote for Android Wear was redesigned to let you say, see and do more. Plus, Yammer for Apple Watch is coming soon. Break down hierarchical data with the new Treemap and Sunburst charts—In Excel 2016, regardless of the format of your hierarchical data, you can create a Treemap or Sunburst hierarchy chart to reveal insights into your data. This post describes what hierarchical data is and what it looks like, explains how to choose between a Treemap or Sunburst chart for your data, and gives you tips for creating beautiful, intuitive hierarchical charts. Try out both new chart types and create a look for your data unlike any other chart you’ve previously used in Office. New Outlook partner add-ins and expanded rollout of Outlook.com preview—New partnerships with Evernote, Yelp, IFTTT and Wunderlist and new add-ins are enhancing the Outlook experience for consumer and commercial users. The new add-ins—Uber, PayPal, Evernote and Boomerang—are rolling out now to help you get more done right from your inbox. The IFTTT, Yelp and Wunderlist add-ins are coming soon. Also, the preview of the new Outlook.com is being expanded to a broader audience. Read about the new add-ins and start using them now. Preview real-time coauthoring on OneDrive—Now when two or more users running the latest Office 2016 Preview release open the same Word document from OneDrive, they can coauthor with others in real time. Each sees the cursor location and text edits made by the others automatically appear as they happen. Try real-time coauthoring on OneDrive today. Visualize statistics with Histogram, Pareto and Box and Whisker charts—Take a close look at the new statistical chart types in Excel 2016 and find out how these new charts can help represent your statistical data in a way that works best for your needs. A Histogram chart shows the distribution of data, a Pareto chart automatically groups items and sorts columns from most common to least common, and a Box and Whisker chart characterizes the distribution of data and can be used to compare characteristics between different data sets. Read the post to find out more about how you can use these charts for your data. Working with external data in Excel 2016 for Mac—Working with external data across platforms is now easier than ever thanks to two improvements in Excel 2016 for Mac. Excel 2016 for Mac comes with a preinstalled and integrated SQL Server ODBC driver, which was developed hand-in-hand with Simba Technologies. And it has a brand new Microsoft Query (MSQuery) and Connection Manager to make creating and managing all of your data connections easier and more consistent with Windows. Read the blog post to get the details. New features coming to Outlook on the web—A host of updates are on the way for the web version of Outlook in Office 365. Formerly known as the Outlook Web App (OWA), from now on the browser-based Outlook experience will be referred to as “Outlook on the web.” The updates include a simplified UI to help you be more efficient, new tools to help you stay on top of your inbox, new features so you can craft more visually engaging emails, new features to help you better manage your calendar, and a better mobile experience. Sway now available worldwide and Sway for Windows 10 is here—Sway, the digital storytelling app, is moving from preview to general availability and is rolling out to eligible Office 365 for business and education customers worldwide. That means any individual with a free Microsoft account can now use Sway, and more businesses, schools and other organizations can use Sway to create and share interactive reports, presentations, assignments, lessons, projects and more. Sway for Windows 10 has arrived too, along with a new layout option and new publishing capabilities, like using Docs.com to share your Sways. New wearable apps to help you stay productive—Check out the new and updated productivity apps for your wearable devices. The all-new Outlook for Apple Watch lets you reply, schedule and archive right from your wrist, and the all-new Microsoft Translator for Apple Watch and Android Wear provides instant translation into 50 languages. Wunderlist for Apple Watch now has Quick Add magic, OneDrive for Android Wear got several improvements, and OneNote for Android Wear was redesigned to let you say, see and do more. Plus, Yammer for Apple Watch is coming soon. School administrators can now get a Staff Notebook at My Apps or OneNote.com/staffnotebookedu—School administrators can use OneNote Staff Notebook to cultivate and manage educator collaboration. Now Office 365 Education customers with E1 or E3 plans can easily access the OneNote Staff Notebook app on their My Apps page in the App Launcher or through a simple link with additional resources at onenote.com/staffnotebookedu. The app is also now available globally in 35 languages across 51 markets. Support for right-to-left languages such as Arabic and Hebrew is coming soon. Preview of Skype for Business apps for iOS and Android is here—Find out what’s new in the Skype for Business apps for iOS and Android. Skype simplicity is now present throughout the apps. The In-Call and In-Meeting experience was updated to make it easier to navigate calls and meetings on your mobile phone or tablet. There’s also a new dashboard for easy navigation of your contacts, calls and meetings. Learn more about the preview and sign up for it today! Optimizing Yammer for teams—Yammer groups empower team members to collaborate within the right context and with the right set of people. To encourage teams to make Yammer groups their go-to destination, the UI is being enhanced and the experience inside groups is being improved. The changes delivered on the web include the Discovery feed to surface group conversations, real-time group activity, immersive group experience and Next Group notification. Over the next months, the Yammer mobile apps are being reoriented around groups, too—including a Group Updates feed and much more—to meet the needs of fast-moving teams. Updates to Power Query for Excel—This month’s Power Query update includes four new or improved features, including the option to specify Join Type in the Merge Queries dialog. You can now extract the first, the last, or a range of characters from a Text column. You can also customize the Quote Style in Split Column by Delimiter dialog, and support was added for UPN credentials in the Exchange connector. Introducing the Office IT Pro Deployment Script project—Looking for advanced PowerShell scripts or thinking about how to streamline your Office client deployment process? Check out the new community GitHub project for Office IT Pro Deployment Scripts. 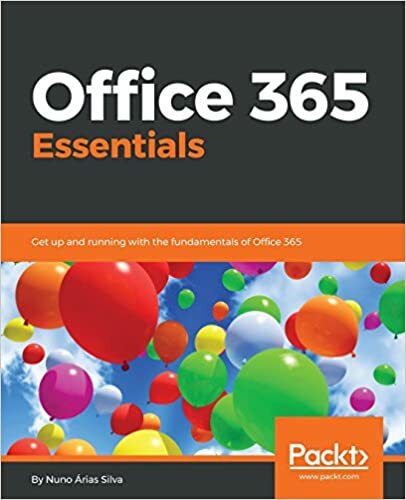 Office 365 experts from around the world are contributing to a collection of PowerShell scripts designed to automate various procedures that would normally require manual intervention from an IT pro. Read this post to see some of the scripts already available, like Copy-OfficeGPOSettings, Check-DiskSpace and more. Deeper integration between Office documents and Outlook for iOS—It’s easier than ever to collaborate on and share Office documents on the go. Outlook for iOS now opens Office documents sent as attachments directly in Word, Excel or PowerPoint. The steps required to collaborate on files sent as attachments have also been streamlined. In addition, Word, Excel and PowerPoint now include a Send with Outlook option on the Share menu. These updates, combined with the Focused Inbox, calendar integration, customizable swipe gestures and predictive search in Outlook, help you get more done, even on the smallest screen. What’s new for business analytics in Excel 2016—Read about the new and improved business analytics features in Excel 2016, designed with the analyst’s journey in mind, from gathering to consuming data. The new capabilities you can take advantage of for your business include: faster and easier ways to get data, streamlined data analysis, new forecasting capabilities based on Exponential Smoothing (that is, FORECAST.ETS()…), new charts, and publishing and sharing your data analysis with your workgroup or clients through Power BI with just one button. You can try out the new features for yourself in the Office 2016 Preview for Windows. Matter Center for Office 365—Matter Center allows people to create or view legal matters right from Outlook; tie Word, Excel, OneNote and other files to those matters; and securely collaborate with other legal professionals inside or outside their organizations. Dev Digest for August—Read this month’s Dev Digest to keep up with all things new in Office 365 development. Find out about the recent strides made to get new developers started with Office 365 APIs and add-ins, the code samples added for the newly released Windows UWP projects, along with version 2 of the hero demo called “The Property Manager” and the new Snack showcase of short videos showing what you can do with the platform. As always, get the documentation for new and updated APIs and code samples, plus a list of podcasts, Office Dev Show episodes, patterns and practices samples, blogs posts and upcoming events. Office UI Fabric—Office UI Fabric is a responsive, mobile-first, front-end framework for developers, designed to make it simple to quickly create web experiences using the Office Design Language. With Office UI Fabric you can apply simple CSS styles to make your web applications look and feel like the rest of Office. The styling takes into account typography, color, icons, animations, responsive grid layouts and localization. Please note that some of the updates may take time to show up in your Office 365 account, because they’re being rolled out to customers worldwide. *Not all updates apply to every Office 365 plan; please check the individual post for specifics.